Wi-Fi Remote Power Switch - Single port wireless solution to power control. LIMITED AVAILABILITY – PLEASE CONTACT US FOR STATUS! 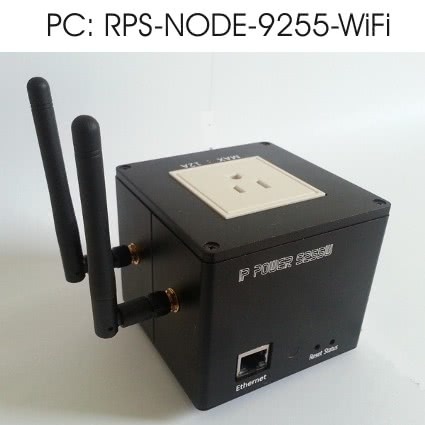 The RPS-NODE-9255-WiFi is a industrial grade single port remote power switch that allows you to control the power status of connected devices over the internet through your local WIFI network. The unit is small in size, 3.5″ x 3.5″ x 3.0″ ( 90 x 90 x 80 mm height ) but very big on features. It will monitor your network devices and automatically reboot upon failure, or allow you to manually access its internal web server to control the power. Built in scheduling allows for timed power on / off configuration. This industrial grade aluminum case remote power switch handles up to 12 Amps. It is available in 5 standard global socket types for worldwide usage. Utilize your WiFi network for power control of your critical equipment or use your Cellular WiFi Hotspot to place a remote power switch at any location. All Metal Construction, 12 AMP Max. 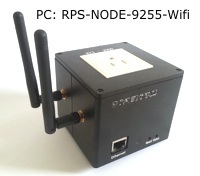 The RPS-NODE-9255WiFi allows you to restore functionality to any electrical device on a ethernet or WiFi network by using a simple user-friendly Web-based GUI and an Internet browser. It can reboot, or power ON or OFF, any PC or device, running any operating system. WiFi – Wireless 802.11 – b/g and WPS Configuration Option. Also has standard Network Port. 110-120V US, 12 Amps Maximum, 220V Euro Sockets available in 4 different types. Can be controlled via email. Command Line HTTP and Telnet control of individual power socket. Programmers can control the remote power switch within your custom designed software. Optional IR Handheld Remote Controller allows power control without login. Point and Control the Power. The power port can be delayed through the web interface to prevent surges. WEP / WPA / WPA2 Wifi Network Connections are supported. Remote access from the internet allows reboot from any location saving costs associated with a technician going to the site. The WIFI connection allows cableless network access. LIMITED AVAILABILITY – CONTACT US FOR STATUS !